Extra pack of Soundcloud plays! Boost your profile like never before. Spread your music around Soundcloud and meet your next big fans. More Soundcloud plays will make your tracks more likely to be noticed and clicked on. Following suit is usually climbing the charts, getting reposted and gaining downloads. 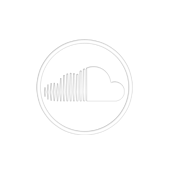 Buy 100,000 Soundcloud plays today and promote your Soundcloud profile organically. Bulk pack: get 1000 likes on your Soundcloud *playlist*. REAL profiles, 100% safe. Delivery: 4 days.